These beernoculars look and feel just like the real binoculars. Each side is an eight oz flask for a total of 16 ounces of your drink of choice. 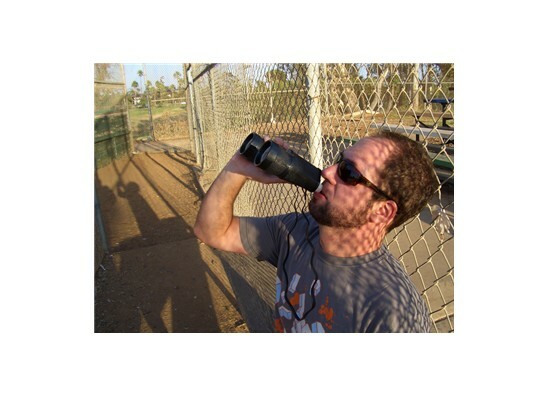 The eyepieces pull off and make handy shot glasses so you don't have the game beggers taking pulls off the poor spout. Take these anywhere where binoculars are used. Golf courses, plays, sports games, horse races, car races, etc. Each kit contains the barnoculars, a neck strap, and funnel!